Advice: For the love of G-d, don’t view this in Google Chrome — it’s lack of color management makes this look awful! I’ve been checking the California weather this past week and getting really excited that cloudy skies are coming and we’re going to have some coastal shots to start taking! 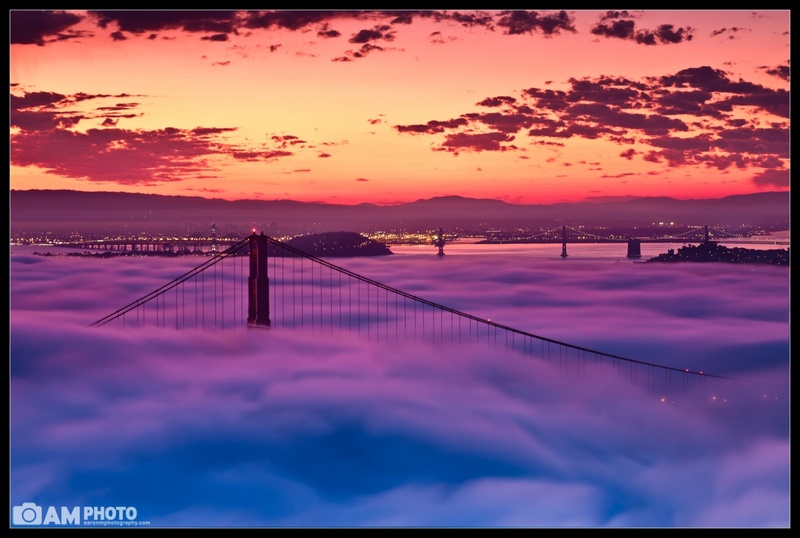 In the mean time, I’ve got a second photo from our awesome Golden Gate Sunset that I wanted to post. I really liked how the sunrise reflected off the low’ish fog on the morning of Sept 23rd. We’re still hoping to get some lower fog but this still came out pretty neat. A less boring sky would have been nice too, but hey, beggars can’t be choosers!